I accidentally dropped a washer and unfortunately it landed on the C97 capacitor. I think that shorted the pi out. The ACT and PWR lights are now solid red and green, whereas it was blinking previously. Is there any hope in saving it? Note to self, always put a case on bare electronics! I had a slightly different problem, but it's related. While tightening a nut next to C97 it popped off. Without C97 the USB ports failed. I replaced the CMT with a 100nf radial capacitor and I'm back in business. CMT in that location was just too hard for me to mount. Not the answer you're looking for? Browse other questions tagged usb hardware electronics case troubleshooting or ask your own question. How do you protect the Raspberry Pi when you are carrying it about? 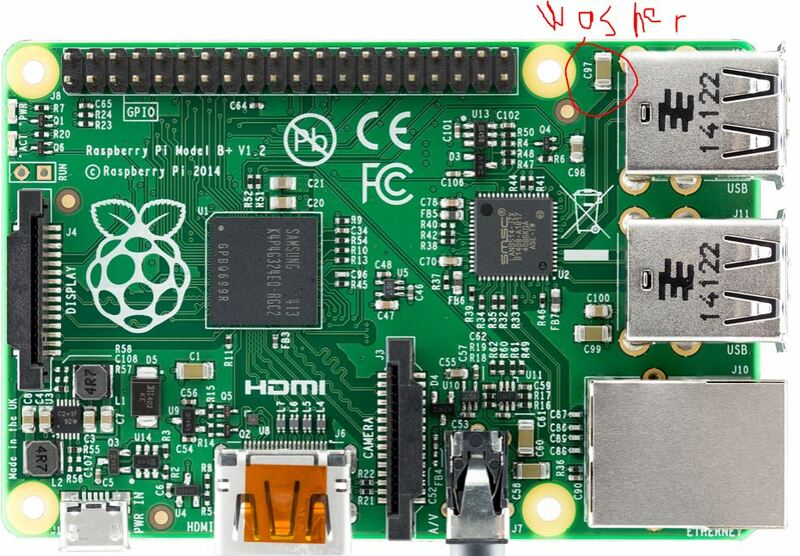 What size screws does the Raspberry Pi board use? Is the Raspberry Pi 2 Model B or B+ case compatible with the Raspberry Pi 3? Will accidentally powering a pi with more than 5V break it?